Crisp and only slightly oaked, this 2017 Estate Chardonnay boasts aromas of ripe green apple, pineapple and mango. 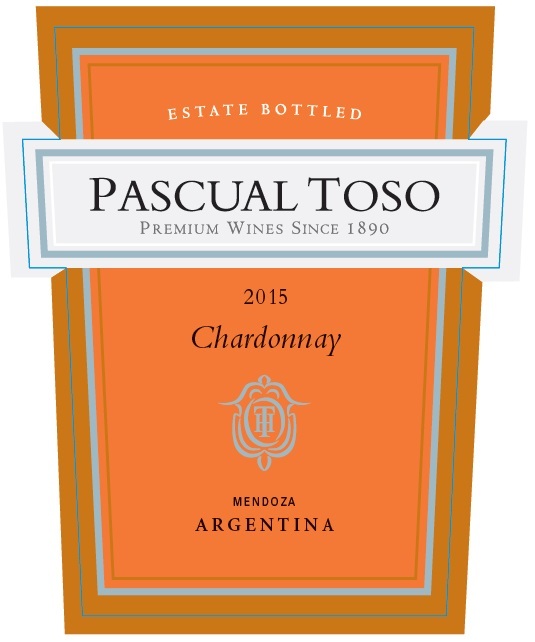 With fresh racy acidity, it has an equally nice toast with a very nice lingering finish. 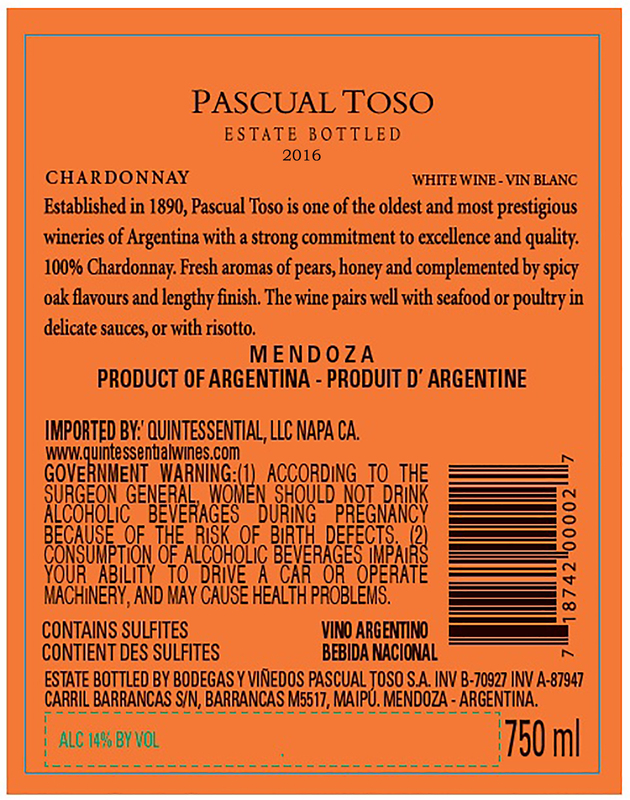 This very fine Chardonnay is produced from the Estate, located in one of the best wine growing areas in Mendoza. Harvest takes place only having achieved the best maturation when grapes show their optimal potential. State of the art technology is used in the winemaking process, resulting in outstanding organoleptic features. The outcome after fermentation at a low temperature is a fruity fresh wine with high quality. 40% of this wine is aged in American Oak barrels for two months so it obtains a touch of oak all while keeping its varietal character. The wine is filtered prior to bottling. This Chardonnay complements seafood, poultry in delicate sauces and risotto.